Internationally renowned, and with its reputation even further enhanced during the 2010 World Cup, Cape Town is, and remains South Africa's premier tourist destination. And it's a given that Cape Town property will remain a hot favourite for both South African real estate investors as well as overseas investors. Cape Towns' plethora of world renowned attractions includes its stunning coastline and beaches. Table Mountain (1 of the 7 natural wonders of the world), the V&A Waterfront, Robben Island and Kirstenbosch Gardens. to name but a few. All of this adds to the allure which makes Cape Town the premier destination of choice for multitudes of International and local tourists as well as an attractive real estate and property investment for a multitude of buyers from around the globe. Cape Town property choices are both wide and varied - property in Cape Town offers literally everything from ultra-modern flats to historic architectural masterpieces to luxurious sprawling country estates - as well as some prime commercial Cape Town real estate on offer. And the variety of property in Cape Town in terms of the abundance of property types and styles on offer gives it a unique flavor and spice which simply cannot be found anywhere else. The ever popular Cape Atlantic Seaboard with well-known suburbs such as Sea Point, Green Point, Mouille Point, The Waterfront, Bantry Bay, Fresnaye as well as the ultra-exclusive Clifton, Camps Bay & Llandudno, Bakoven and Hout Bay. Cape Town's many Atlantic Seaboard flats and apartments make the area a firm favourite amongst those looking for a low upkeep “lock up and go” Cape Town property lifestyle. The bustling City Bowl - Cape Town property's commercial centre with flats, houses, luxury apartments, and commercial properties on offer in Bo Kaap, Gardens, Higgovale, Highlands Estate, Oranjezicht, Tamboerskloof, Vredehoek & Zonnebloem. The Cape Southern Suburbs property market - a truly diverse real estate area as well as being both historically and culturally rich including suburbs such as Bergvliet, Meadowridge, the exclusive and upmarket Bishops Court, ever-popular Claremont, stunning Constantia, Tokai, Diep River, Tokai, Newlands, leafy Rondebosch, Rosebank, and trendy Wynberg. Cape Town's Southern Suburbs also has a number of highly sought after residential lifestyle estates and security estates such as Steenberg Estate, Silverhurst Estate, Silvertree Estate and Stonehurst Estate - properties which have remained relatively recession-proof due to the high demand for estate living. The Cape Southern Peninsula offers its own rugged coastline surrounding the likes of Fish Hoek, Muizenberg, Simons Town and the equestrian lovers own Noordhoek. Northern Suburbs property in Cape Town, due to huge development over the last few decades has grown in popularity amongst real estate buyers. Many of todays buyers show an ever increasing appetite for the likes of its well-known suburbs such as Durbanville, Bellville, Edgemead, Bothasig, Parrow, Kuils River, Tygerberg, Plattekloof, Brackenfell, Eversdal, Vierlanden, Sonstraal, Goedemoed, Uitzicht, Vygeboom, Stellenberg,Welgedacht, Welgemoed, Oude Westhofand Van Riebeeckshof. The many modern and upmarket complexes and lifestyle estates in the area are also proving to be major draw cards with property investors and purchasers. The Western Seaboard area moving along the Cape West Coast from Milnerton, Atlantic Beach, Blouberg, Kensington, Sunset Beach, Table View, Parklands, West Beach, Sunningdale, Bloubergrant and Waves Edge. Variety, choice, uniqueness and selection - Cape Town property has it all! Chas Everitt's team of Cape Town Property estate agents are intent on delivering an exceptional Western Cape property experience, and offer a wealth of knowledge on property for sale in Cape Town & property for sale in the Western Cape. As a group, Chas Everitt is a leading Western Cape real estate group operating in the Cape Town, West Coast, Overberg & Boland Regions. Boasting in excess of 35 franchise offices in the greater Cape Town region, you will find us not only in the Cape Peninsula Southern Suburbs and Constantiaberg areas, Northern Suburbs but also the Atlantic Seaboard as well as the False Bay or Fish Hoek area. Blouberg,Melkbosstrand,Langebaan, Yzerfontein,Velddrif, Vredenburg, Pater Noster, Saldanha Bay,St Helena Bay, Jacobs Bay), as well as solid representation into the Cape Winelands (Paarl, Boschenmeer, Stellenbosch, Montagu, Mcgregor, Robertson, Wellington, Somerset West, Strand, Gordons Bay),Swartland (Piketberg, Hopefield, Riebeek Wes, Riebeek Kasteel, Malmesbury, Moorreesburg) Boland and the Overberg( Hermanus, Mcgregor, Montagu, Onrus and Kleinmond areas). Have a look at our comprehensive network of Cape Town estate agencies or give is a call - our team of professional Cape Town Estate Agents are ready, willing and very able to deliver on all your Cape Town real estate expectations. 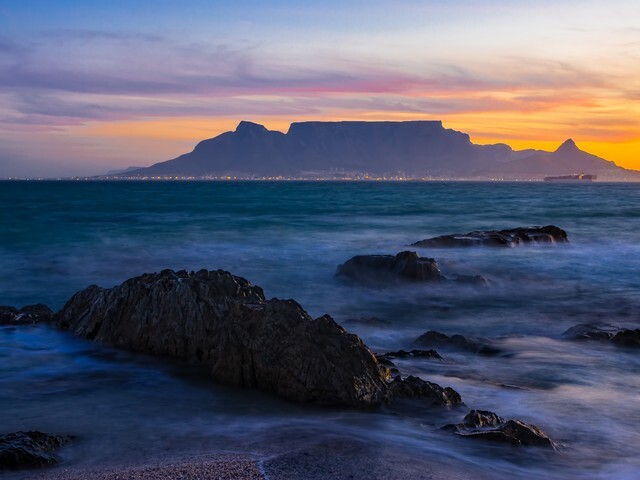 The internationally renowned city of Cape Town is - and remains - South Africa's premier tourist destination - and Cape Town property will remain a hot favourite for both South African real estate investors as well as overseas investors.